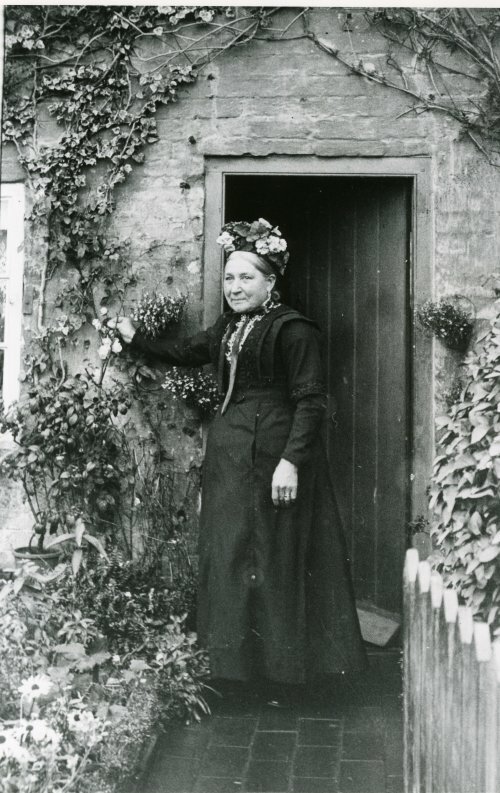 A tenant of the cottages c1900. The cottages, which stood opposite the White Hart were demolished in the early 1970s. Missing information: Can you name this woman?